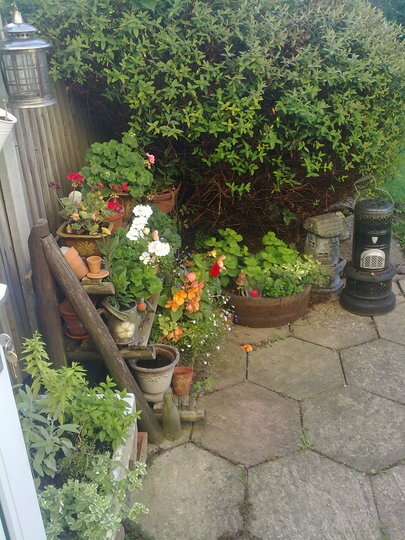 Plant Stand made by my late father, which I display geraniums,begonias,pelagoniums and other interesting plants. My dad made it from an old Futon and tree stakes, recycled materials as well so very cheap. And the Butler sink with herbs in he found at a tip too.